Industry leaders use Nexus products to accelerate software innovation and improve healthcare. If you're in the healthcare business, then you understand the importance of building great software. Everyday you feel intense pressure to innovate faster so you can stay ahead of the competition. In this hyper-competitive world, application mistakes are massively expensive. Therefore, you need tools to error-proof your software development process so you can get things right the first time. 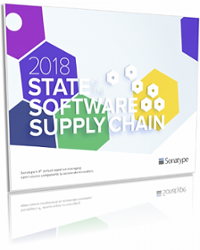 Nexus products from Sonatype help top performing healthcare companies benefit from the principles of software supply chain management. Our customers accelerate net innovation by balancing software velocity with quality, security, maintainability, and repeatability. What makes Sonatype's data better?